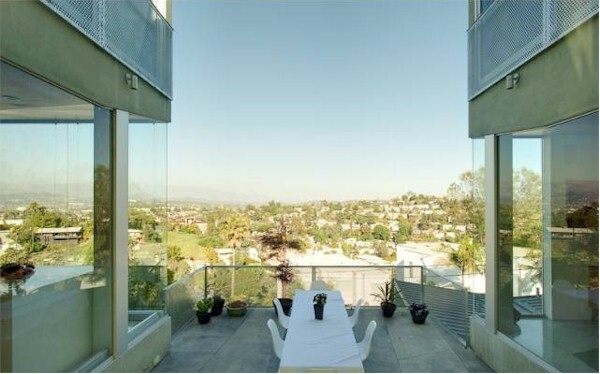 For fans of architectural homes, this 2007 Franklin Hills contemporary property is a real treat. 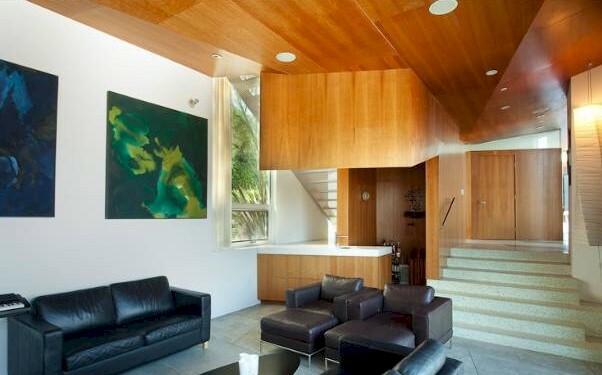 Situated on a street to street, double lot, the Payne Residence, designed by Christopher Payne, A.I.A. of FIN Architecture, is truly a work of contemporary modernism, completed in October of 2007. It fronts on Ronda Vista Pl and has 4 bedrooms and 5 bathrooms in almost 4,000 sf. of living space. 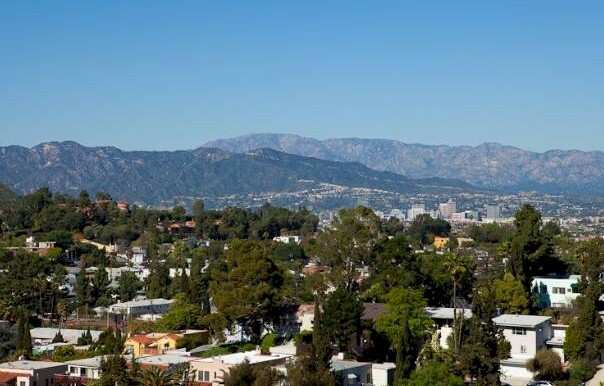 This terrific architectural Franklin Hills home has expansive views of the San Gabriel Mountains from practically every room, a lap pool and a separate studio space that fronts on Lyric Avenue below. The house is a linear plan that curves along the street with its v-shaped roof profiling the peaks and valleys of the San Gabriel Mountains behind it. There is a one car garage on Ronda Vista Pl. and the studio is built over an additional 2-car garage access from Lyric avenue. The first floor is an open plan of public spaces that include an exterior courtyard. 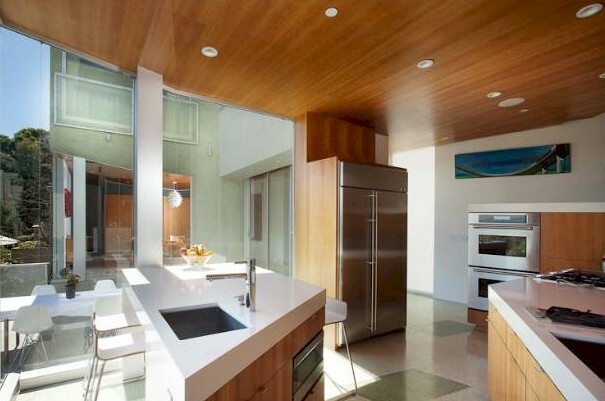 The unique plywood ceilings of the kitchen, dining and living rooms make an interesting contract to the terrazzo floors. Bedrooms are found on the second floor all with dramatic views and abundance of natural light. The corridor widens at one end creating a studio/library space. Stairways at each end of the house add both functionality and design interest.